The company today is still owned by Phil, however day-to-day operations are handled by our Group Operations Director, Michael White. You also handle sea freight, I believe. Can you provide us with some examples of project cargoes that you are proud of having handled? Our sea freight division, Brunel Shipping, have handled numerous project cargo shipments over the years. 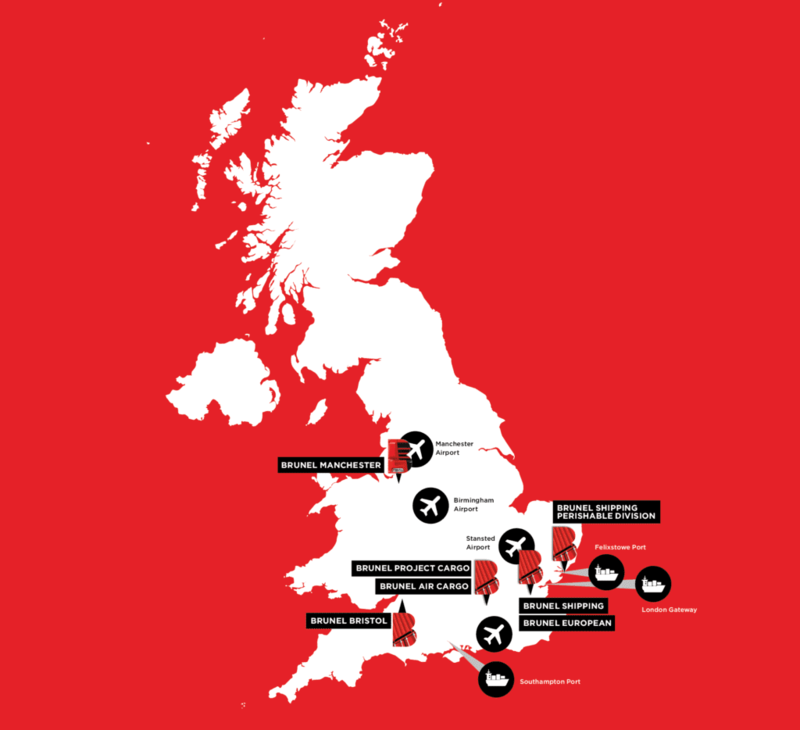 Examples of our sea and airfreight capabilities are detailed below. Would you say that you are a traditional freight forwarder, able to conduct both air and sea freight and door/door services if so required? Yes, the Brunel Group offers full service multimodal services door to door. 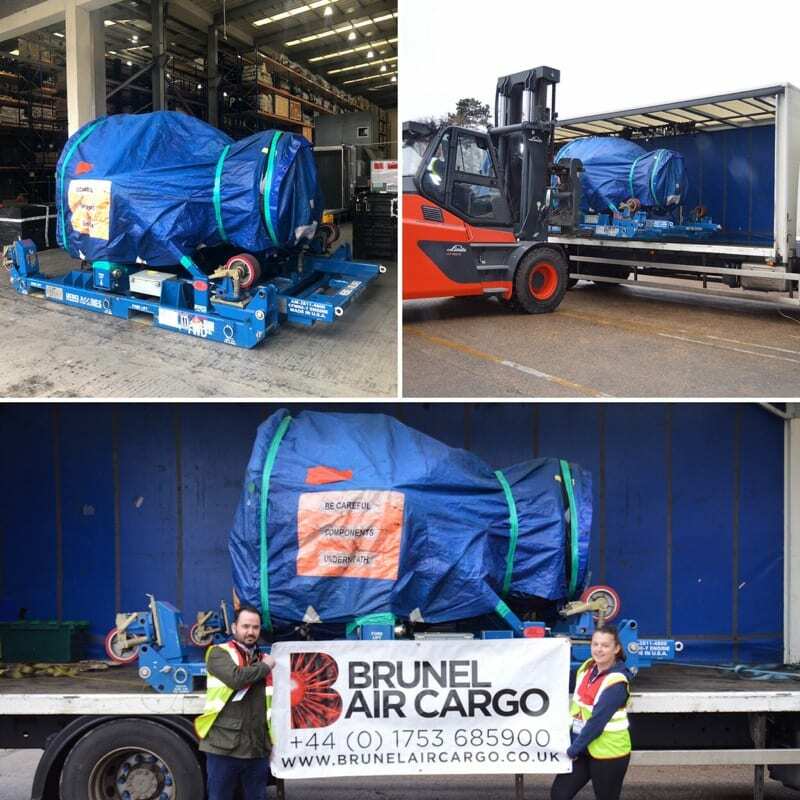 Our separate divisions Brunel Air Cargo, Brunel Shipping, Brunel European and Brunel Project Cargo handle each mode. Our business model is built around the basis that each division is operated and managed by a director specialising in his or her field. We add value to our customers’ freight forwarding requirements by fully managing the whole process from start to finish. I understand that you also do air charters. Could you please tell us more about that? Presumably that means that you would have other freight forwarders as customers too, right? We have recently added a specialist product to our traditional air cargo services, Brunel Air Charter. We felt that there is a gap in the market for a small and flexible aircraft charter broker that is completely neutral, meaning that we can forge much stronger relationships with freight forwarders. With our knowledge and capabilities, we can source an aircraft inside thirty minutes and have it positioned anywhere in the world within two hours for loading. With our forwarding expertise, we are much better positioned to understand challenges that are faced by the freight forwarder, which means we already have the solution before the challenge has arisen. From initial pickup to final mile delivery, we can handle any charter movement. Great Britain is in the news a lot these days, mainly because of Brexit. What is your view on this from a logistics point of view? Brexit is a sore subject in many respects. It’s a very complex situation politically and I foresee many challenges ahead for the British public and businesses alike. I do, however, feel that like in most situations that the British have had to deal with in the past century, we will get through it and come out with a robust solution to the economy and the day-to-day lives of the British public. It will not be a five-minute fix but a long cycle with many hurdles along the way. From a logistics point of view, I see an opportunity. We are AEO accredited and are keeping in close communication with HMRC and BIFA for updates with the current scenario of a hard Brexit. This would mean that we would need to look at more customs documentation and checks at the border for all freight movements from the EU. I think people forget that we already do this process for international movements from the USA, China, India and UAE to name a few of the major import and export routes for the United Kingdom. With the expansion of Heathrow airport in the pipeline and more investment in our UK sea freight ports, there will be more airlines choosing Heathrow as a hub airport, more sea freight vessels hitting our shores and maybe a reduction of our reliance on having the EU as our biggest trading partner, this could mean we can spread our wings globally, which can only mean this is a good thing for UK freight forwarders. Do you belong to any networks currently and do you have any of your own offices or setup overseas? We are members of the WCA Inter Global and Time Critical networks in the UK and we have been with the WCA for more than four years now. Being members of the WCA has been invaluable to our business, not just through our becoming able to cooperate with members, but also to be able to safely say to our customers that we have truly qualified agents in many countries globally. We opened our own office in Shenzhen in 2017, which trades as BSL International Cargo (BSL is short for Brunel Shipping Ltd). Alan Cheng runs our office in China and our core strengths are international air and sea freight services and having coverage throughout Mainland China and Hong Kong. We have also recently joined the Cross Ocean network for Brunel Air Cargo in the UK and BSL International Cargo in China We are new members of this network and we feel we have made the right decision in partnering with them. We wanted a smaller network to work with, as we feel that our service offering is better leveraged in these areas, especially with likeminded high-quality freight forwarders that are members of this network. How do you feel about the market in 2019? I am very confident about the outlook for 2019 and beyond, as we have already had a great start across all divisions of our business and have enjoyed twenty percent growth year on year.